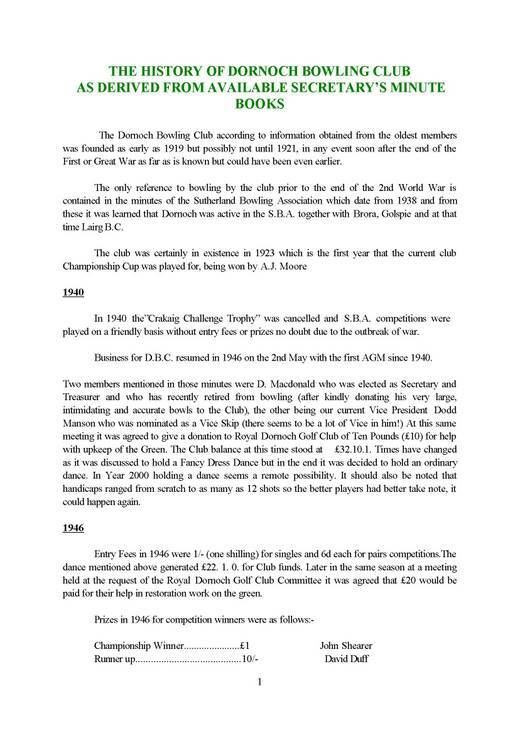 Extract from Dornoch Bowling Club minutes 1940-2000 compiled by Clive E C Plaister. Word processing document on floppy disc. Hard copy in Museum reference section. PDF version also available on museum PC.